two complementary 5" direct radiating mid-range elements, and our famous Sonodome Ultra-tweeter. produces the best musical balance throughout your listening room. to provide optimum smoothness and tonal blend. And there are two rear panel balance controls. Model 5 has a luxurious hand rubbed walnut cabinet finished an four sides. It may be positioned upright or an its side. Submitted by baco99 on November 6th, 2018. I just picked up a pair of these speakers and I am VERY pleasantly surprised at the sound. The design is clearly a KLH Model Five competitor, but the sound I think has a much better balance, especially in the midrange. Really worth the effort. Submitted by Patymay on September 25th, 2016. Submitted by allietggal on February 23rd, 2015. I have an old pair of Jensen Model 5 speakers that need to have the Woofers replaced or the foam surrounds repaired. Can someone tell me a good replacement speaker to use to replace the 12" woofers? I would ideally like to have them drop right in with the same bolt pattern but I know that probably wont happen. If I have to surrounds repaired/replaced to use the original speakers what would be the approximate cost for that? Submitted by Perry Gunnite on June 3rd, 2016. I Recommend a rebuild of your originals, you'll never get that same vintage sound without them. Remember, Jensen took alot of care in designing a matched set of drivers for those well-crafted enclosures. A whoofer with different design parameters will make your system sound off balance. 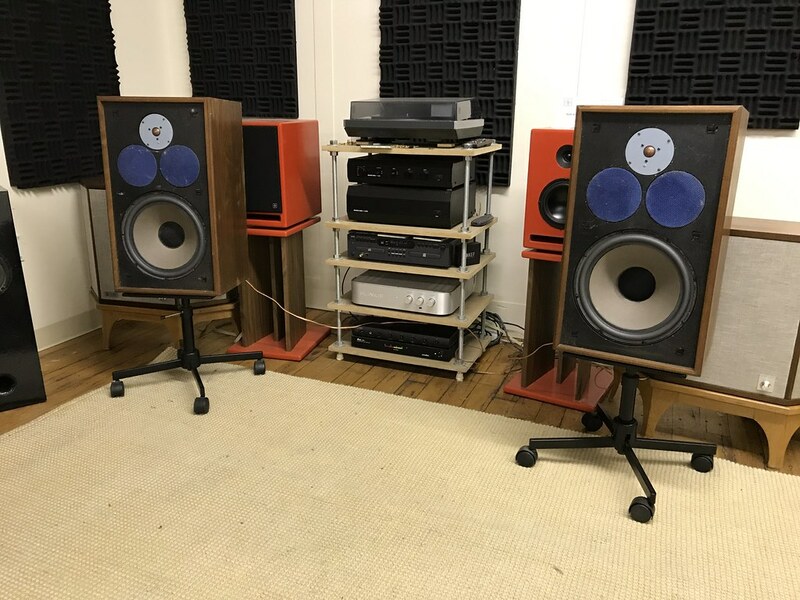 At your local speaker shop or audio supply house you can find re-cone kits, and possibly foam surrounds by themselves. But first, go to youtube.com and search for 'JBL Re-Cone'. This should lead you to many a video fully explaining how to do it yourself on quality 12" whoofers. That should be cheap enough for ya. Check it out. Submitted by karodimitrov on February 23rd, 2015. Better restore the old original speakers.And look at messages!